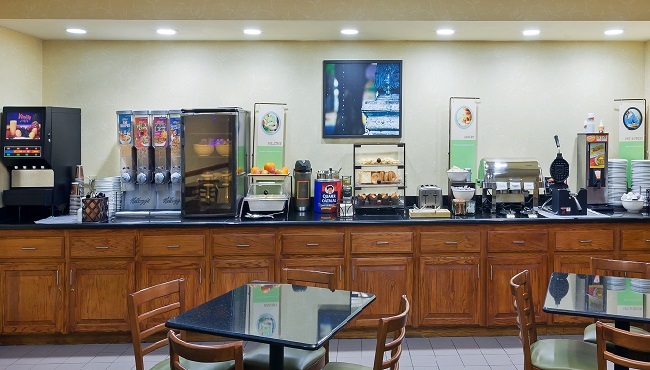 Fuel up for the day with a free, hot breakfast served each morning at the Country Inn & Suites, Oklahoma City. Sample Belgian waffles, fruit and yogurt, or opt for a light meal of toast and a cup of freshly brewed coffee. Our hotel’s location along the Northwest Expressway places you close to area restaurants like Red Lobster, Whiskey Cake OKC and Panera Bread.